GALION — A new autumn activity is coming to Galion this Friday,Oct. 26 which should be fun for all ages of the community. Craig Smith Auto Group, 7459 State Route 309 on the east side of Galion, will is having its first annual Trunk or Treat and Costume Contest from 7-9 p.m.
“We have been in the Galion and Crestline communities for 20 years, and have tried to make a much bigger impact in our area recently,” said Tony Coleman from Craig Smith Auto Group. Coleman is in charge of public relations, along with other roles he performs at the dealership. “This is more or less a ‘thank you’ for the community for their years of support,” Coleman said. A total of 12 business will be present at the event. 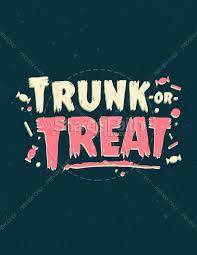 They will pass out candy from the trunks of vehicles on the Craig Smith lot. The service bay of the dealership will be decorated in a graveyard theme for photo-taking opportunities. The children’s costume contest will be held at 8:30 p.m.. It is for children 12 and younger. Judging will be based on four categories: Most creative, Funniest, Scaries, and Best Overall. Costume winners will be awarded a bucket full of gift certificates and cool toys. Door prizes will also be given out to kids and adults every half hour. Prizes have been donated by numerous local businesses including Arby’s, Phil’s Deli, Domino’s Pizza, Family Video, Just Joking, Ralphie’s, Whistle Stop Cafe, Taco Bell, East of Chicago, Payne’s Pizza, Main Street Grill, Papa John’s Pizza, and Depot Deli. Royal Dogs Food Truck will be on site for concessions, and water has been donated for the event by Hempy Water. Parking will be at the dealership itself, but overflow parking has been arranged at the Polk Township building directly across the street on Ohio 309.